The Scholastic Book Fair is coming December 12th – 14th! Good News! 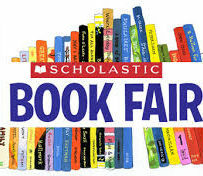 We will be hosting a Scholastic Book Fair on December 12th – 14th for T3 – 5th grade. Students will get an opportunity to look through the books during the school day on Wednesday the 12th. That evening we will be open before and after church (5:30 – 7:00; 8:00 – 8:45). Our goal this year is to make sure every child has a book. Scholastic books average at $6 a piece. If you would be willing to help us reach this goal, please make donations in the front office. We are also hoping to reach a sales goal of $700 (roughly 88 books sold). If we reach this goal, we will earn $350 in Scholastic Bucks to be split between our classroom libraries and our school library! Not only will the Fair be open at HCA for 3 days, you may also shop online. Use this link https://www.scholastic.com/bf/heartlandchristianacademy to shop online from November 30th – December 20th. If you would like to help expand your child’s classroom library, keep an eye o ut for their “class wish list” over the next few weeks. These books make excellent Christmas gifts!